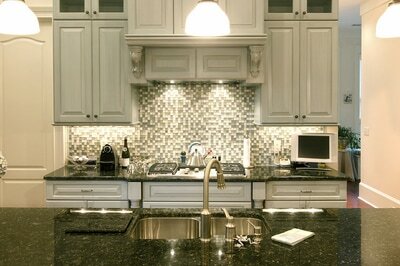 At Stone World, we specialize in kitchen remodels and bathroom remodels in Orlando, FL and all of Central Florida. We love to take an average looking bathroom and turn it into a luxury and gorgeous bathroom that you will absolutely love. 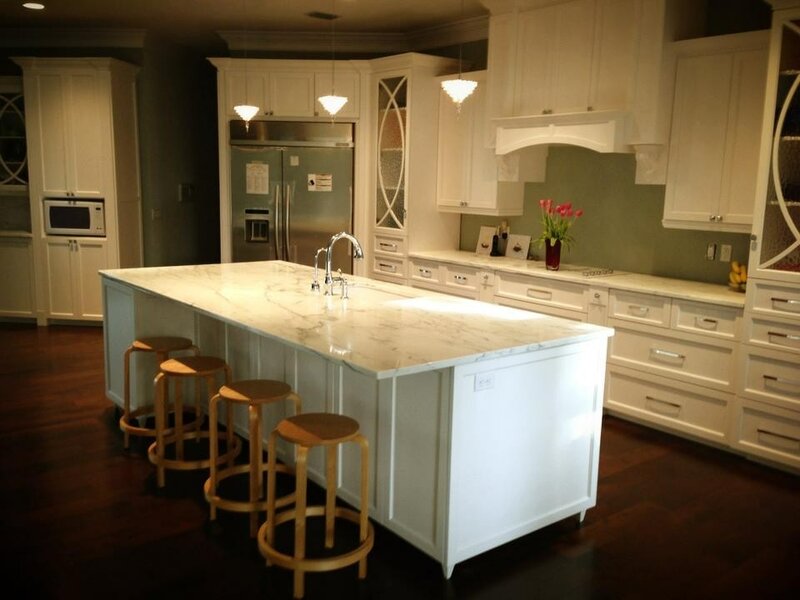 Our kitchen remodels in Orlando transform your kitchen from ordinary to extraordinary, and will truly make your home come to life and be the envy of the neighborhood. We have many options to accommodate every taste and preference, and work closely with our clients to make sure we achieve the perfect end result. We have vast experience in performing kitchen and bathroom remodels for every taste and every budget, and would love to show you our portfolio so that we can help you bring your vision to reality. 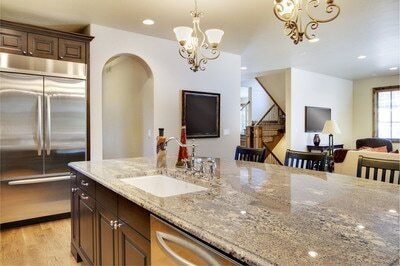 All of us spend so much time in our kitchen, and it is one of the centers of entertainment in most homes. So given how much time you probably spend it in your kitchen why not make it absolutely gorgeous with stunning granite countertops that will add richness and elegance to any kitchen. You also spend a lot of time in your bathroom, so our stunning bathroom remodels with a new marble vanity are always worth the investment. You will look forward to that time in your bathroom each morning after a transforming bathroom remodel in Orlando. 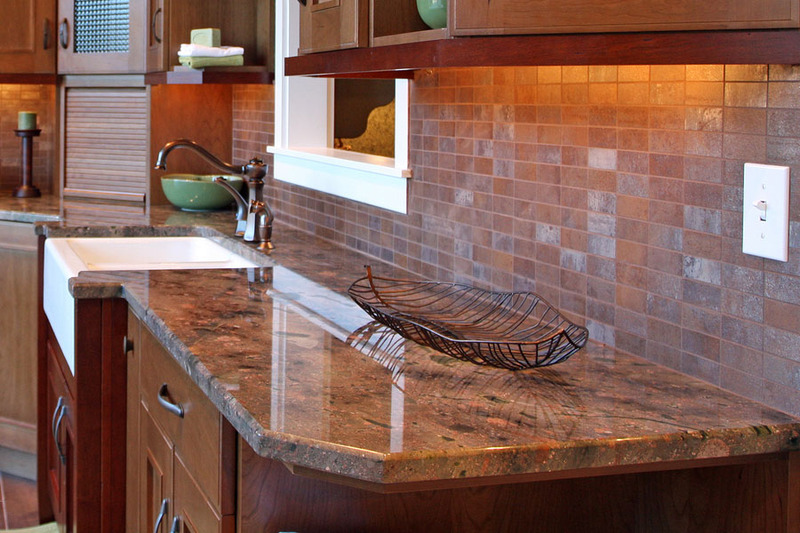 We also offer top of the line products for your countertops, tabletops, and more through our local network of natural stone distributors. Based on the natural stone you decided to go with, we’ll refer you to the nearest distributor where you’ll be amazed with variety of choices and low, wholesale prices. Many of our customers have asked for our assistance with stone selection. Over the years, we’ve worked with every natural stone on the market and learned all strengths and weaknesses of every product. We’ll be delighted to answer any questions you may have in the process. Once purchased, the product will be delivered to our facility that same day for fabrication. We provide quality workmanship that is triple inspected prior to installation. We take pride in our work and give a Lifetime Labor Warranty on all our work (15-Year Sealer Warranty). With our competitive prices, we are certain that you will be completely satisfied with the results. And we guarantee that satisfaction, or the job is not done. We will make sure we complete the job according to your vision, or we keep working until we do. Call Stone World today at 407-341-4688 for a free proposal that exceed your expectations. Take the first step today to completely transform your home, and give you an all new perspective on the place you call home! Grinding uses a grit of 60 or below and usually done when a flat floor is wanted. For example, if stone tiles are uneven or set higher than each other, also known as lippage. 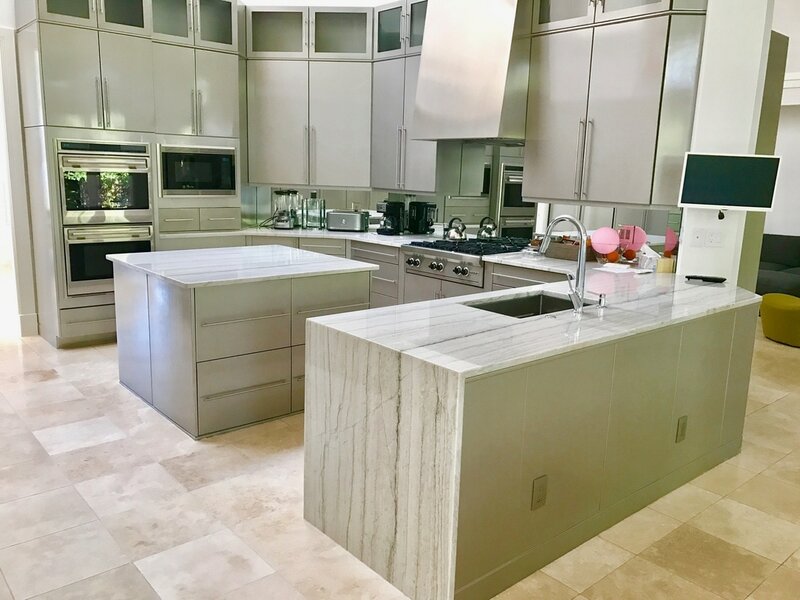 A flat floor is easier to maintain, grout doesn’t collect a lot of dirt and dust.Grinding, however, is very time-consuming and expensive – 60 SF of granite surface can take 1 full day of work. It is also very messy. Surrounding areas need to be protected from staining caused by the large amounts of water needed for this process. Honing uses grit of 120 and above; grit of 400-600 is required on marble before polishing. This process also requires the use of water and, therefore, can be messy but not as much as grinding. Honing is used to remove scratches by method of smoothing the stone with abrasives. It can round edges but does not remove lippage, as grinding can. Polishing brings out a high gloss, achieved by using super fine diamond discs and super fine powders. This process is usually the final step, the least messy, and some-what time consuming to guarantee the best results.